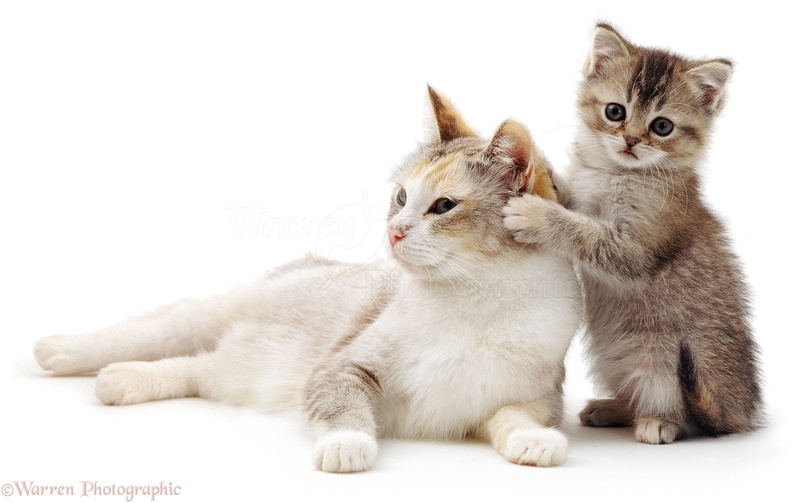 Adult/tennage cats normally slee for around 80% of their day, whereas kittens are usually more active. If your giving cats or kittens milk, then STOP! Believe it or not, milk is actually bad for cats AND kittens, if you do give them it, onlt give them a small amount accomanied by some water. But really you shouldn't give them any. You might be wondering by now, why do I keep saying 'Cats AND kittens?' Well, they normally have differnt behaviour and needs, as kittens don't usually have their instincts yet, and thats why you should give adult food to adult cats, because they can't handle as much protein as kittens.